One of the things we were excited about was being in India during the World Cup of Cricket. We arrived in Mumbai just a few days before the first match and were anticipating a huge outpouring of support for the national team from India’s billion plus people. Sadly, India went out of the cup in the first round, so there was really little more than a whimper on the street. But there’s still Cricket on TV, lot’s of it! The World Cup goes on (much like the game itself) FOREVER! It’s a two month tournament! So there’s been plenty of opportunity for LeeAnne and I to learn a thing or two about the game, sadly we haven’t. I have learned that Australia are very good. South Africa is good. And people in Pakistan value their Cricket highly (the Pakistani’s coach was murdered after they were knocked out in the first round). Beyond that, not much. Still there’s plenty of games and commentary on the TV. 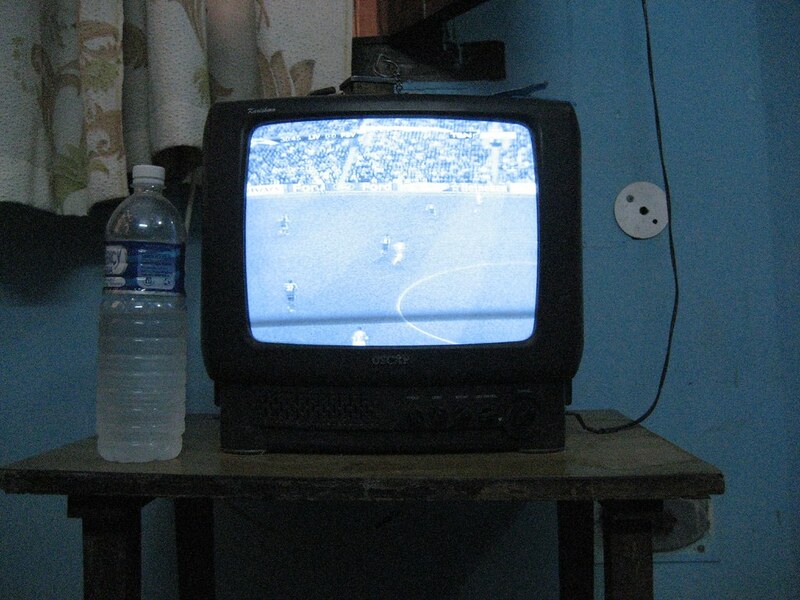 There’s also a surprising amount of Soccer on TV (thank God!). We had the chance to see a Liverpool game broadcast in Hindi, and we even caught highlights of DC United’s game against Chivas in the Champions Cup.